Equip for Equality and JPMorgan Chase invite lawyers from private law firms and corporate legal departments to come learn from a national expert about a highly effective legal strategy that trades the stress, conflict and runaway costs of lawsuits for relationship-building and true problem solving. Learn about Structured Negotiation, a dispute resolution method with over twenty years of success in complex disability civil rights and technology access cases, with great potential for other areas of law. Information about disability rights pro bono opportunities with Equip for Equality will also be available. One hour of CLE credit will be given to Illinois and New York attorneys. The seminar is free, but space is limited and registration is required.Captioning is provided. Registration ends COB Monday, October 16. Lainey Feingold is the author of Structured Negotiation, A Winning Alternative to Lawsuits, published by the American Bar Association in 2016. The book provides a step by step guide to Structured Negotiation for advocates and lawyers looking for an effective strategy to resolve legal claims without lawsuits. 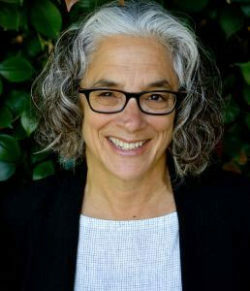 Lainey Feingold is a solo-practice disability rights lawyer and a frequent national and international speaker about Structured Negotiation and digital accessibility law. She has negotiated agreements on behalf of her blind clients in Structured Negotiation with Walmart, Walgreens, Anthem, Inc., The City and County of San Francisco and dozens of others. Feingold’s book, Structured Negotiation, A Winning Alternative to Lawsuits, was published by the American Bar Association in 2016. Not just for lawyers, the book tells the story of 20+ years of practicing law without lawsuits with some of the largest organizations in the United States. Lainey’s book gives readers the tools to resolve legal disputes in a cost effective manner that gives clients a seat at the table and lawyers a way to use problem-solving skills. In 2017 Lainey Feingold was the individual recipient of the John W. Cooley Lawyer as Problem Solver award, given annually by the Dispute Resolution Section of the American Bar Association. She was named one of 13 Legal Rebels by the ABA Journal in its September 2017 issue and has twice been recognized with a California Lawyer Attorney of the Year (CLAY) award (2000 and 2014). More information available on Lainey Feingold’s website.